You may not be aware but the change in temperature is causing mayhem for your body, but blaming the icy months ahead for chapped lips and skin breakouts won’t solve the problem. With our top men’s facial products and tips you can combat dehydrated skin, shaving woes, dreary complexions and flaky lips. Most men don’t include exfoliation as a part of their grooming routines, however; it is essential, especially during winter. By exfoliating a maximum of twice a week you will minimise blocked pores and remove dead skin cells without stripping the skin. 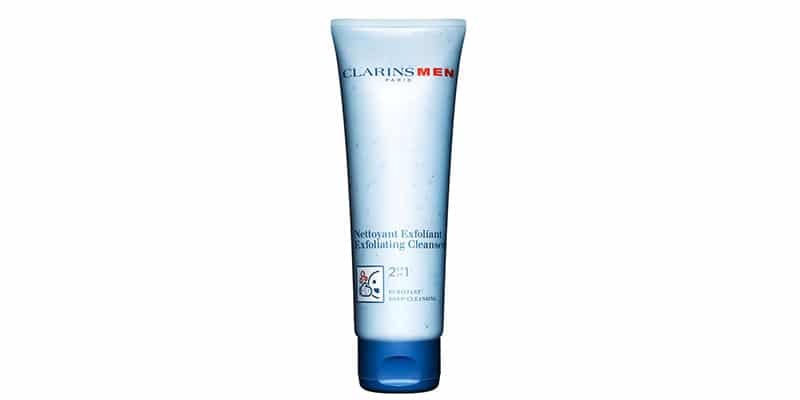 Try Clarines Men Exfoliating Cleanser. This gel formula will refresh and clean the skin without irritating it. Tip: Be gentle when exfoliating. Reduce the pressure by using the tips of your fingers and rubbing the skin in a circular motion. Unlike the rest of your body your lips don’t have a protective outer layer making them more prone to dryness during winter and to make things worse most men have a lip-licking habit meaning that in most cases the battle to over chapped lips lasts a lifetime. Exfoliating your lips is even more important that exfoliating your body and it’s a lot easier. Start by taking a toothbrush and softly rubbing away dry flakes and then apply a lip balm. 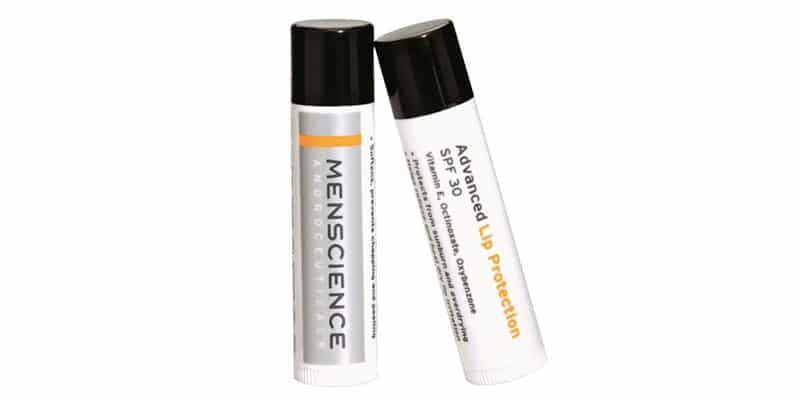 Our choice is Menscience Advanced Lop Protection. Tip: Choose an unflavoured lip balm. A balm with added flavour will only increase your desire to lick your lips. Although some men opt for a grizzly look come winter, others prefer to keep clean-shaven all year round but during the colder months, skin can become dry meaning that additional care must be taken to prepare the skin prior to shaving. 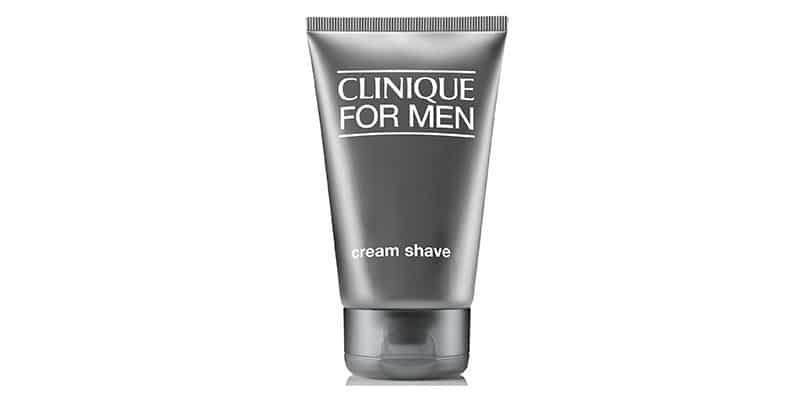 Clinique for Men Cream Shave will not only add a layer of protection but will soften stubble and is suitable for dry skin. 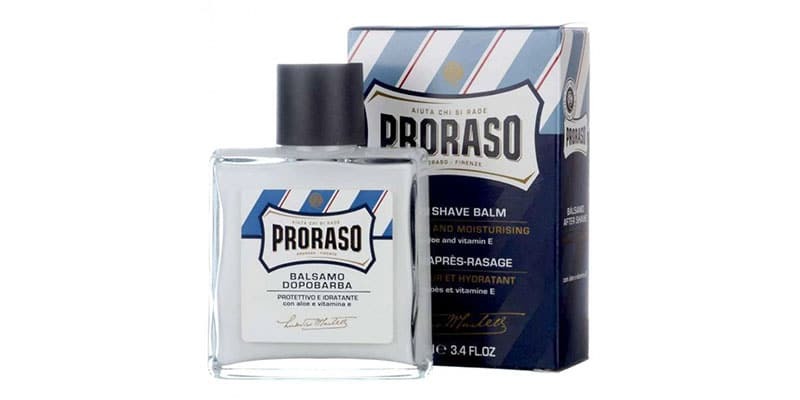 After shaving apply a quality balm, our favourite is Proraso’s After Shave Balm. The Italian product is alcohol free and suitable for vegans and has a soothing quality that is renowned worldwide. Tip: Swap fruity colognes for woody and spicy scents but use it sparingly. Too much cologne can further dehydrate the skin. Long, hot showers are tempting but the scorching water is creating havoc for your skin by stripping it of its natural oils, leaving you with a dry and dreary complexion. Showering should become less frequent in winter and last just over five minutes long. Afterwards apply a moisturiser to rehydrate the skin. 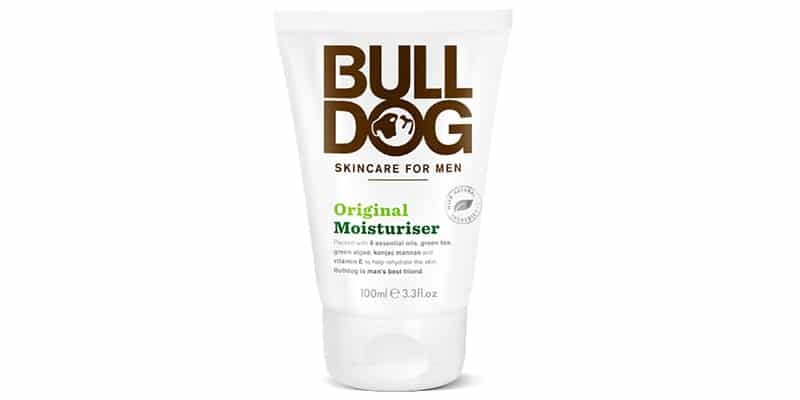 Our choice is Bulldog Original Moisturiser. Containing eight essential oils this much-loved product will rejuvenate your skin and won’t leave you feeling oily. Tip: Turn down the heat to a comfortable, lukewarm temperature and just before stepping out, splash your body with cold water.